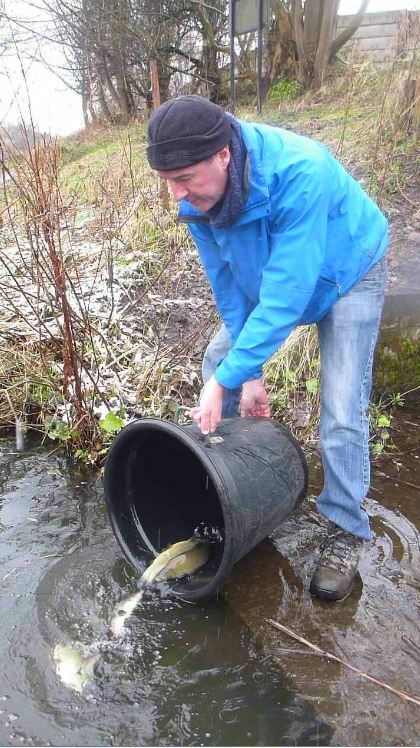 Over the last 18 months we have been making a big effort to improve the fishing on the Old River Irwell in Irlam. In addition to renovating/replacing most of the pegs – we have been hunting down grants and other sources of funding to spend on fish. 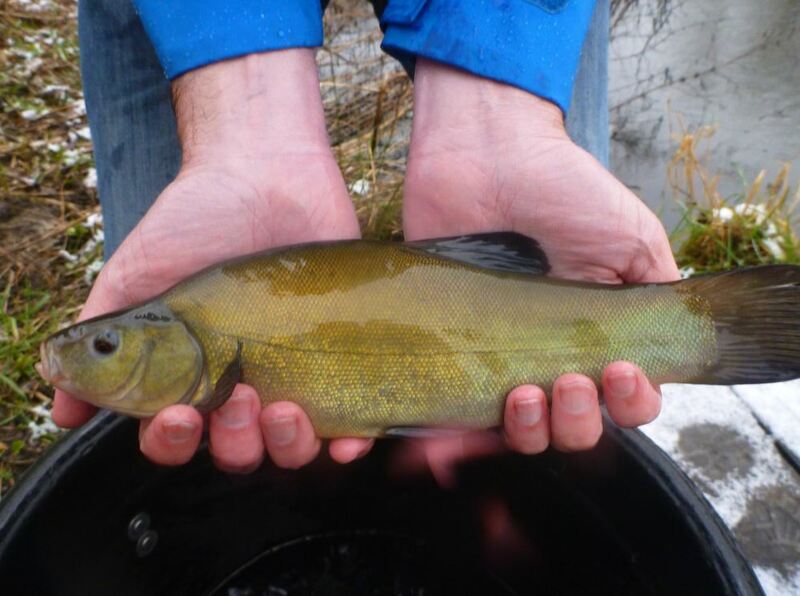 Our original restocking during 2013/14/15 saw us stocking nearly 4500 bream, 1000 rudd, 1800 roach and 500 fingerling tench. This seemed to make little to zero impression on catch returns – as they were a mere drop in the ocean in comparison to the area of the lake. Fast forwards to spring 2016 and a fantasticly generous grant from The Hamilton Davies Trust saw us changing our restocking policy and instead of stocking large numbers of small fish, we decided to go for lower numbers of bigger (more expensive) fish. 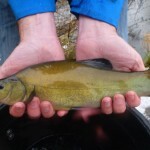 So using the grant from HDT we bought 350 x 1lb tench. We then spent the rest of the year improving pegs and building access steps. At long last – anglers are now beginning to enjoy great sport again on the Old River – go down give it a try and then tell us how you get on.